Lucas y Hernández Gil trades walls for sliding partitions inside Casa P82 - Dr Wong - Emporium of Tings. Web Magazine. 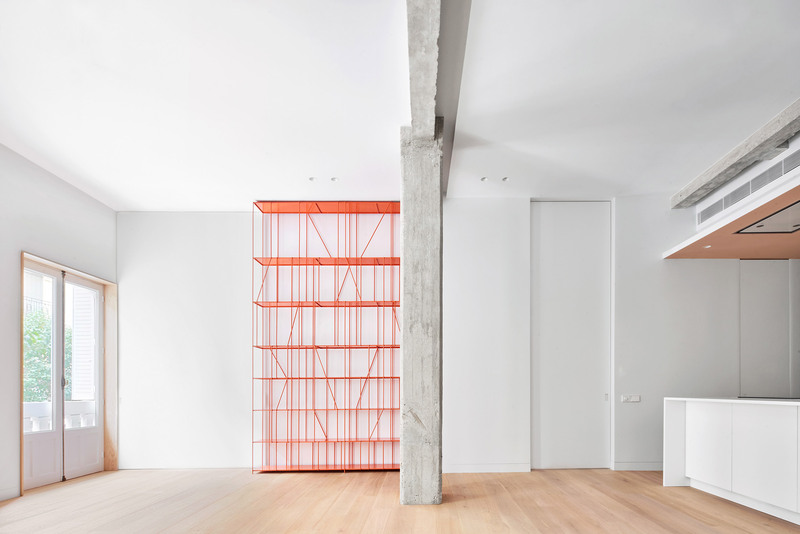 Sliding partitions and bright white surfaces helped Spanish studio Lucas y Hernández Gil open up this Madrid apartment, which previously contained a rabbit warren of rooms. 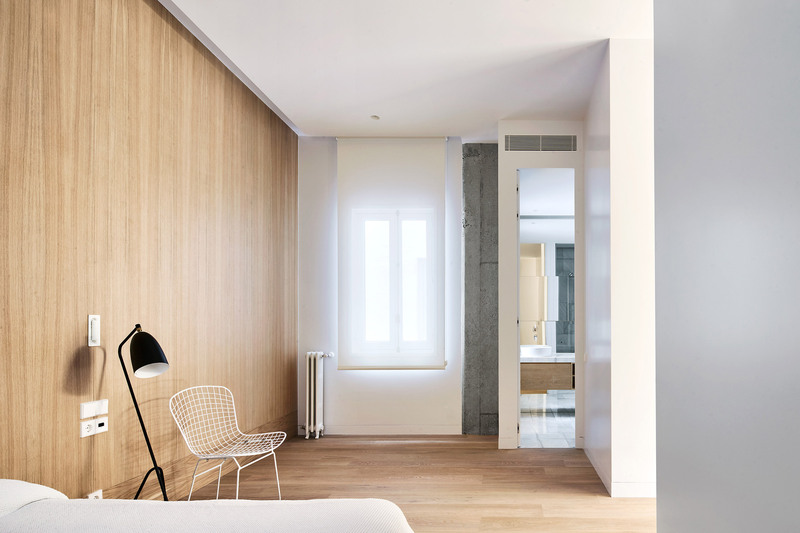 Casa P82 is set within a 20th-century apartment building in Madrid’s city centre, and has been overhauled to feature a sequence of “flexible” rooms filled with natural light. Formerly host to a number of dark, compartmentalised living spaces, the apartment’s owner approached locally based Lucas y Hernández Gil to create a more comfortable layout so that she could regularly invite friends and family over. Retaining the apartment’s huge porthole windows, the studio knocked through a majority of the non-load bearing walls to free-up the floor plan. The walls been replaced by full-height partitions that can be slid back and forth to provide privacy to different rooms – one appears between the living area and master bedroom. Here, the timber headboard of the bed also doubles up as a work desk, forming a small area where the inhabitant can sit and work. More moveable partitions made from panes of fluted glass are also used in the corridor, partially obscuring the sleeping quarters. A couple of concrete support beams were also preserved, which the studio hopes will offer a harsh contrast to the home’s otherwise “delicate” furnishings like the wire-frame chairs. 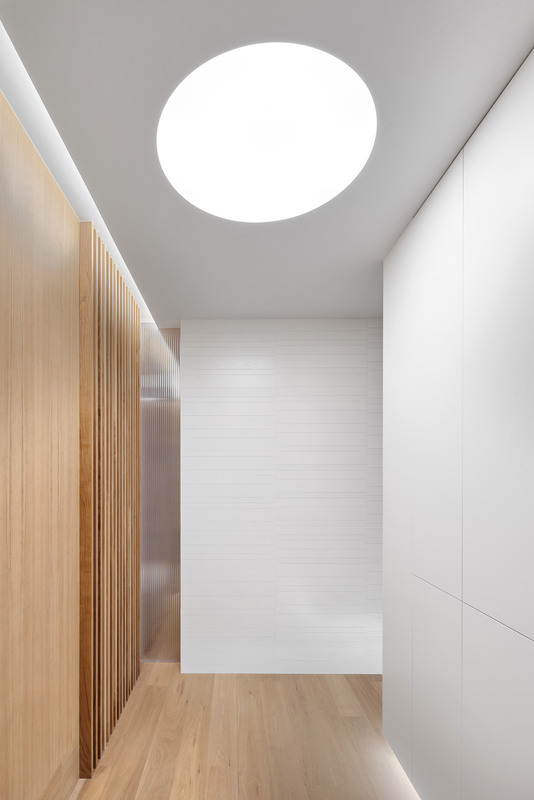 The form of the apartment’s original windows has then been echoed in the entryway, where a circular artificial skylight has been created. 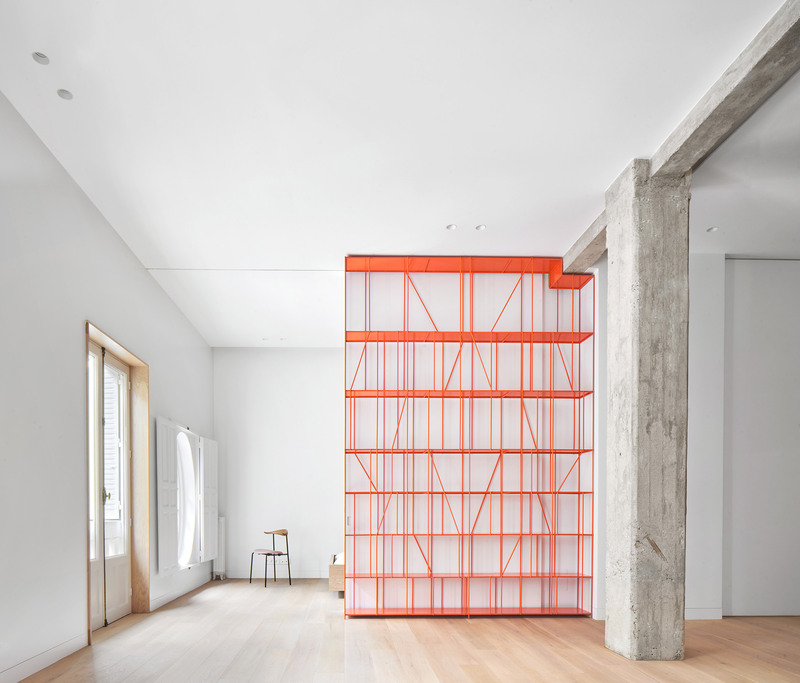 Although a majority of surfaces have been freshened up with a coat of white paint, a pop of colour is offered by a gridded orange storage unit. Its front and rear side features a series of thin bars that sit diagonally across the shelves, intended to emulate the geometric shapes seen in paintings by Swiss-German artist Paul Klee. 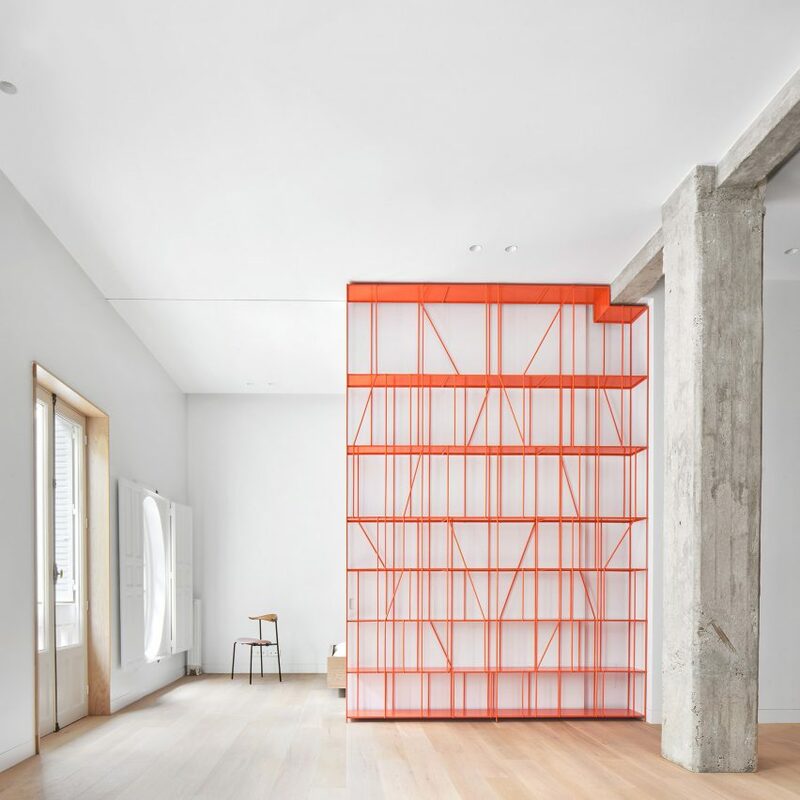 “The rigidity is provided by diagrammatic elements with different angles that create a score, a stave where books and objects are collected as musical notes,” explained the studio. The floors, kitchen cabinetry, and a handful of walls have been crafted from oiled oak wood. This isn’t the only period property that Lucas y Hernández Gil have worked on. Earlier this year the practice revamped an 18th-century guesthouse in Spain’s Extremadura region, pairing its original arched ceilings and decorative doorways with new mortar walls. 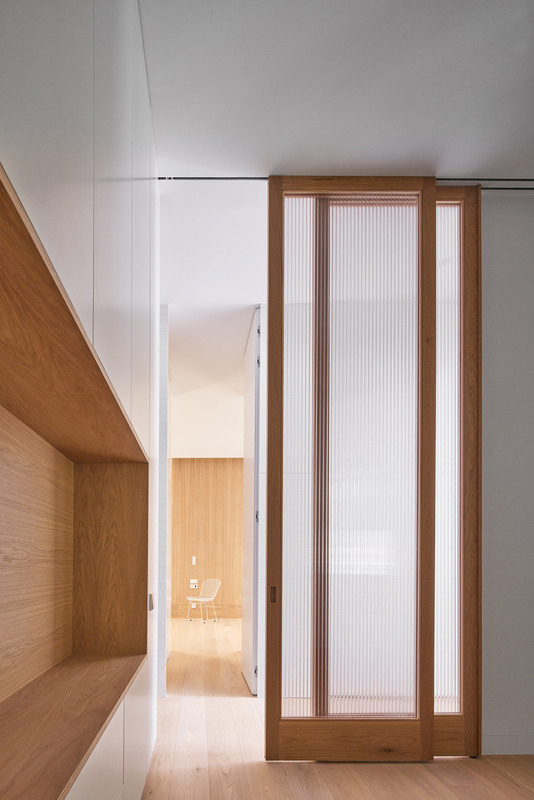 The post Lucas y Hernández Gil trades walls for sliding partitions inside Casa P82 appeared first on Dezeen.